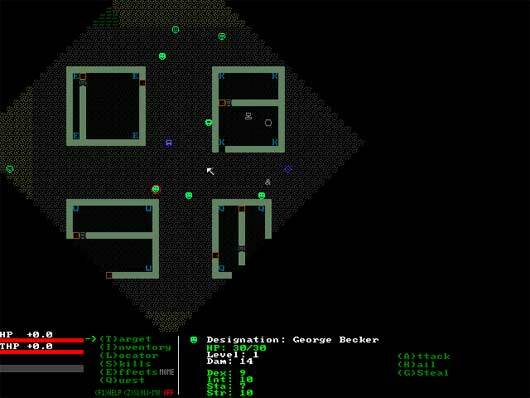 3059 is a free, fully featured roguelike RPG game. Earth has been overpopulated for ages. For the past 200 years, humankind has been seeking out new planets to colonize. Before humans are placed on a new planet, it is prepared with a basic set of roads, satellite networks, and buildings constructed by autonomous robots. You’ve just been placed on planet Esperenza, the planet of hope, with groups of other settlers. There is no organized authority in effect, and large cities and vehicles have yet to arrive; aliens still live freely in uncivilized areas. You have every chance to be anything you want to be.